“Spinning Hearts” collage made by Micheal Monealge as part of the contents of Carmen Beuchat´s dossier. 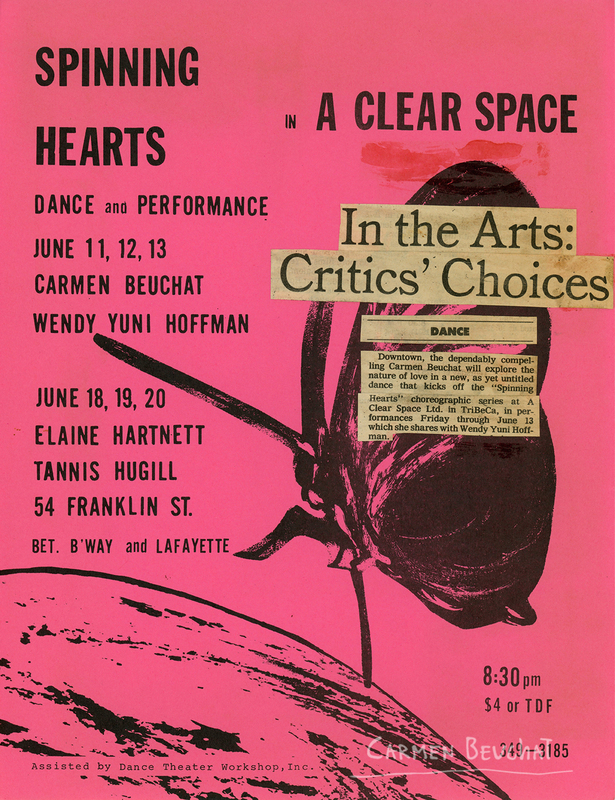 He uses the “Spinning Hearts” poster and a cutting from a press publication “In the Arts: Critics´ Choices” by Jennifer Dunning that appeared in the New York Times on June 6, 1982. Physical Description: Print-out in black and whilte on a pink letter size paper 21, 5 x 27,8 cm., with pieces of printed paper stuck on.